Marwan Barghouti leads hunger strike, most of the hunger-striking terrorists belong to Fatah, some are Hamas and 'lone wolf' terrorists. Terrorists held in Israeli prisons on Sunday night officially announced the beginning of an indefinite hunger strike. The Israel Prison Service said they will take significant steps against the hunger-striking terrorists and act according to Public Security Minister Gilad Erdan (Likud). The Prison Service will hold no negotiations with the terrorists. "The Prison Service has a lot of experience in dealing with hunger strikes, and has the capabilities to deal with such a strike," a Israel Prison Service spokesman said. "The Prison Service is prepared for the hunger strike and has coordinated with the appropriate authorities. These include the IDF, Israel's Health Ministry, Shabak, Israel Police, COGAT, and others. "Prisoners who decide to begin a hunger strike will be forced to face severe consequences. Striking and other ways of protest are illegal, and they will be punished according to the strictest letter of the law." Most of the hunger-striking terrorists belong to Fatah or are "lone wolf" terrorists. 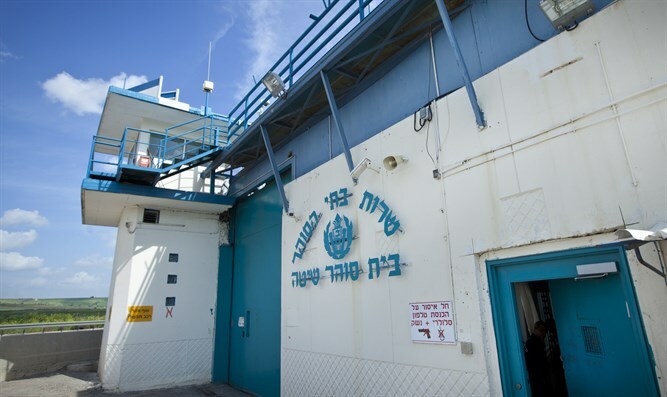 To end their strike, they are demanding the Israel Prison Service make telephones available for security prisoners as they are for criminal prisoners. The strikers are also demanding their families be allowed to visit twice a month, as they used to be. Erdan ordered a field hospital set up next to the Ktzi'ot Prison, in order to avoid overloading civilian hospitals with hunger-striking terrorists, while at the same time avoiding neglecting the health of the terrorists. He also ordered the Israel Prison Service to conduct thorough searches of every cell, in order to ensure they do not contain forbidden means of communication. The Israel Prison Service will be allowed to transfer prisoners between prisons as they see fit. "The strike Marwan Barghouti is leading aims to solve internal Palestinian politics, and its demands are unreasonable," Erdan said. "I have told the Israel Prison Service to do everything they can to contain the strike within the jail cells. Israel Police are prepared to offer any assistance necessary."